Console someone feeling low by sending him/her this Satisfying Chocolate Treat Gift Basket which instantly lifts up the mood. 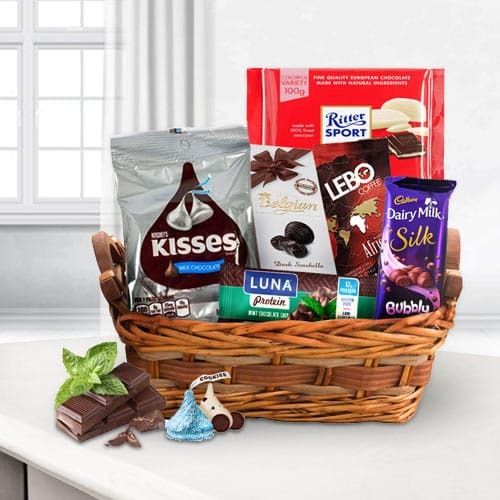 This delightful Chocolate Gift Basket brings an assortment of tasty treats which include Belgium Chocolate, Dairy Milk Bubble, Ritter Sports, Mint, Le Chocolate and Hersheys Kisses. All these items are elegantly stuffed in a Basket.